While apprenticing backstage at Richard Wagners legendary Festival Theatre in Bayreuth, Germany, C. R. Holloway happens onto a handwritten note purporting to be from King Ludwig II. If real, its allegations are so slanderous, they would further stain Wagners and Ludwigs already sullied reputations, and outrage their descendents and admirers. Reluctant to inform anyone of his discovery, Holloway hides the note inside the lining of his luggage and, on returning home to Honolulu, stows it in a safety deposit box, hoping eventually to find time to verify its genesis and authenticity. Shortly, his Waikiki postman delivers a letter in which its writer demands the found note be destroyed immediately. Written in a hand identical to the original, it is signed by someone claiming to be Ludwig, himself! 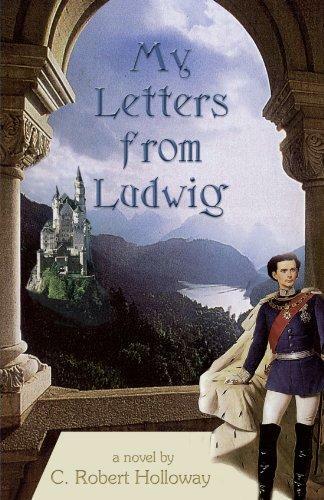 Soon, a series of revealing letters arrive from Ludwig in which he becomes increasingly more hostile toward Holloway and proportionately less self-recriminatory. Concurrent with the arrival of these letters, Holloways life takes a bizarre and disquieting turn that includes his phone being tapped, frequent nightmares and surprise visitors from Germany. 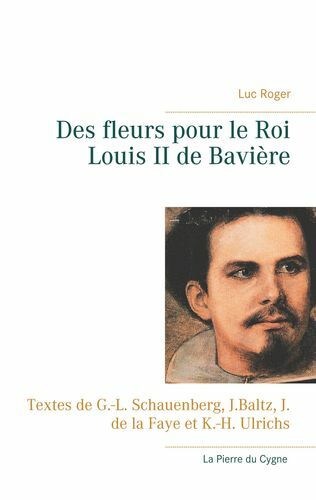 All of which energizes his determination to return to Bavaria, surreptitiously investigate Ludwigs world and prowl his castles in search of the truth about the tortured life and mysterious death of The Mad King. While a paying guest of the Hohenlohes, a wealthy family of nobility in Munich, Holloway becomes involved with their nineteen-year-old son, Reiger, a strikingly handsome, moody, first year medical student. Their edgy relationship nearly gets the two of them killed. In the end, Holloways findings are sure to anger Wagnerian purists, infuriate Bavarian bureaucrats, startle keepers of Ludwigs flame and give tourists a new perspective while tramping through the Mad Kings Dream Castles. C. Robert's first novel, THE UNAUTHORIZED LETTERS OF OSCAR WILDE, won the coveted Hemingway Prize and a brace of laudatory reviews. MY LETTERS FROM LUDWIG, Holloway's second novel, published in 2004, received glowing notices in the USA and begrudging admiration from Bavarian bureaucrats. His screenplay, JEAN LAFITTE, PIRATE & PATRIOT, won the Blazing Quill and Gotham Film Festival Awards in 2008. While writing and editing DANCING TO TCHAIKOVSKY, the final novel in his trilogy about gay men of genius, he took time off to write WRETCHED EXCESS, nine inter-related stories which offer equal opportunity offense to a wide spectrum of American society. C. Robert worked as a designer in films, TV, Music Videos, Opera and Theatre. His production design for TWO SOLDIERS, the film based on a Faulkner short story, is acknowledged for helping it win the 2004 ACADEMY AWARD. Between design jobs, Holloway researches, writes and waits on Charlie, his cat, at his circa 1820s garçonnière in New Orleans' historic French Quarter and friend Richard Levine's Hollywood Hills aerie. Xlibris Corporation (27. September 2004), 228 p.